New shell developed by Microsoft and deployed with latest version of MS Sql Server named "PowerShell". executing scripts above show sample data from TestTable on TestDB. 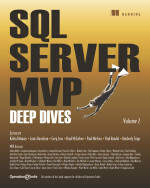 In this script we use CmdSql command, as database developers know this command had been developed in sqlserver before. But what is the difference between "PowerShell" and CommandPrompt? The answer is that PowerShell build on top of the .NET CLR and the .Net Framework, It accepts and return .NET objects! As you see the result above this will generate a help syntax for you. the first command is the famous dir command which list the directories in current location, the second command search in result and find all "a" match in this result. Wonderful ability! i enjoyed with these new ability but i think the Microsoft must expand these abilities in future versions of Powershell. You can also run a saved script in this shell. All saved scripts has "ps1" extension. As it seems the new shell of Micorosoft can be more effective and useful but this is on the first steps and must developed more and more at the future.